The ALTERNATIVE project is organising its final conference on 16, 17 and 18 November 2015. The conference will bring together scholars, researchers, policy makers, and practitioners working in the fields of justice, security, intercultural communication, conflict resolution and community building. 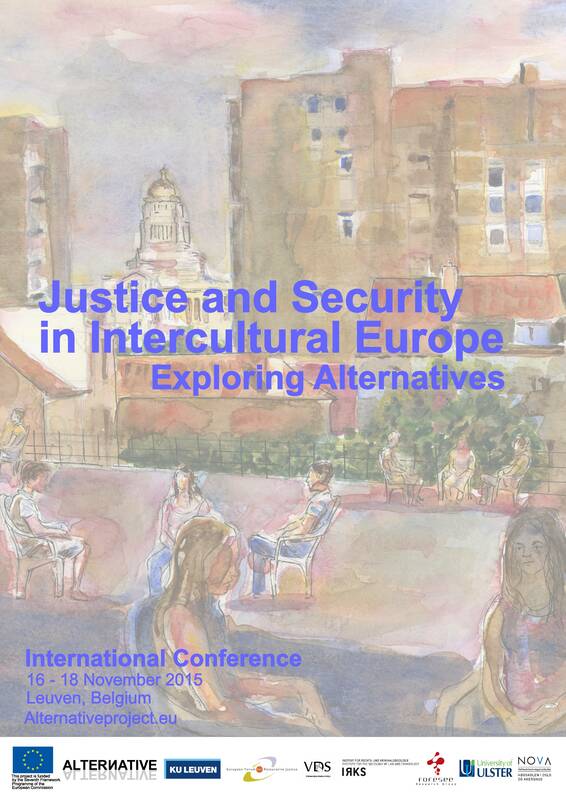 The conference is organised as a concluding event in the European FP7 Project ALTERNATIVE, which has aimed at exploring through action research new understandings of justice and security in intercultural settings in several European contexts through restorative justice approaches. The ALTERNATIVE project challenges discourses of (in)security, built upon the concept that ‘cultural difference’ leads to inevitable social breakdown. As a result, in periods of increasing social tensions and perceptions of insecurity, culture becomes a refracting lens through which conflict perceptions are formed. These (in)security discourses, imbued with moral credibility and political authority, then produce exclusionary and shielding mechanisms for social groups to coexist, mechanisms which often have led to jeopardising both perceptions of justice and active citizenship, in exchange for ‘security’. Both the produced and the emerging cultural diversity introduce challenges related to security and justice, calling for better communication and alternative approaches that would enhance the experience of citizenship and support the handling of conflicts. 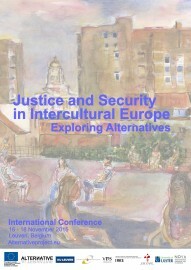 The conference is organised by the KU Leuven Institute of Criminology (Belgium) together with the European Forum for Restorative Justice (Belgium) and in collaboration with the project partners Norwegian Social Research Institute (Norway), Institute for the Sociology of Law and Criminology (Austria), Foresee Research Group (Hungary), Victimology Society of Serbia (Serbia) and the University of Ulster (United Kingdom). Discourses and strategies of tackling social conflicts in intercultural settings, including securitisation and desecuritisation strategies, initiatives of social justice, conflict resolution, community building and crime prevention. The relationships and alliances between state, community, civil society, and citizens in the handling of conflicts, and the resources mobilised in that regard, including active participation and empowerment strategies. The potential and ambivalence of active participation of citizens and civil society organisations (NGOs) in the handling of conflicts in intercultural contexts, in order to promote security and diminish feelings of insecurity. The potential of security solutions which go beyond the limited understanding of security as confining and restricting people’s movement, towards inclusive societies aiming at opening up dialogue between different communities. The alignment of restorative approaches with other intervention methods such as community development, social work services, education, etc. in order to strengthen the capacities and possibilities of the various approaches. The role of action research in generating knowledge on crime and conflict, justice and security, and dialogical processes in intercultural environments. The deadline for submitting abstracts is 1 October 2015. 09:45 – 11:00 Plenary panel discussion with Tim Chapman (University of Ulster), Werner Cooreman (Security Europe, DHL Express), Nadia Fadil (University of Leuven), Christa Pelikan (Institute for the Sociology of Law and Criminology), Marieke Arnou (Belgian Interfederal Centre for Equal Opportunities). The registration will close on Monday 2 November 2015. Please note that the registration fee can be paid by bank transfer or by credit card upon receipt of the invoice. No on-site payments are accepted. The dinner will be 65 Euro extra. The venue of the dinner is Salon Georges, among the most exclusive restaurants in Leuven, located within walking distance from the venue of the conference. For your stay in Leuven, there are several proposed hotels that offer special rates for conference participants. Please don’t hesitate to book your stay. The special rates are limited in time and the deadline is closing in. Find the list of hotels here. technological development and demonstration under grant agreement no 285368". The contents of this website and the publications reflect only the authors' views and the EU is not liable for any use that may be made of the information contained therein.